Passing through Cashel, County Tipperary the majority of visitors likely hasten to see the collection of ecclesiastical buildings known as the Rock and then move on, meaning the rest of the town is unexplored. One of the sites that they will literally have overlooked while on the Rock is the Dominican Friary, tucked in the midst of backstreets and rarely sighted. Founded in 1243 by Archbishop David MacKelly, the original building was destroyed by fire but then rebuilt in 1480, when the central tower was added. This survives today as do the outer walls of the church, including the fine fifteenth century east window seen below. ‘The further I advanced, the more gloomy did the scene become. Not a human being crossed my path – no herds of cattle – no flocks of sheep were to be found in the rank pastures, and no sound broke in on the almost unnatural stillness save the hoarse croakings of an ill-boding raven. The air was oppressive. Heavy clouds, surcharged with rain, hovered over my head and among the distant mountains was again heard the voice of the mighty thunder. I hurried forward. The path was scarcely perceptible, for the grass was long and rank, and wet with the preceding rains. At length, within the deep recesses of a grove of huge trees, I could trace the roofless gables of an ancient building. I paused, for it was a singular scene of utter desolation: it was manifest that no part of this ancient establishment had escaped destruction, save portions of the church. Looking upon the place in all its solitary wildness, it was difficult to conceive that it had ever been the abode of living men; and that the busy scenes of life, for such even a monastery presents, had ever been enacted here. The aspect of this spot was as if it were not only totally deserted, but unknown. With a feeling of awe I approached nearer the ruins. The dark clouds and the thick foliage cast an unwonted gloom over the place. Around the roofless building were many graves unfenced from the inroads of cattle or other animals. Many a cross of wood or stone was there – many a sculptured head-stone, overgrown with moss, rose from amid the green mounds, beneath which slept the mouldering remnants of many generations. From The Saxon in Ireland, or the Rambles of an Englishman in Search of a Settlement in the West of Ireland, by the Rev. John Hervey Ashworth, 1851. 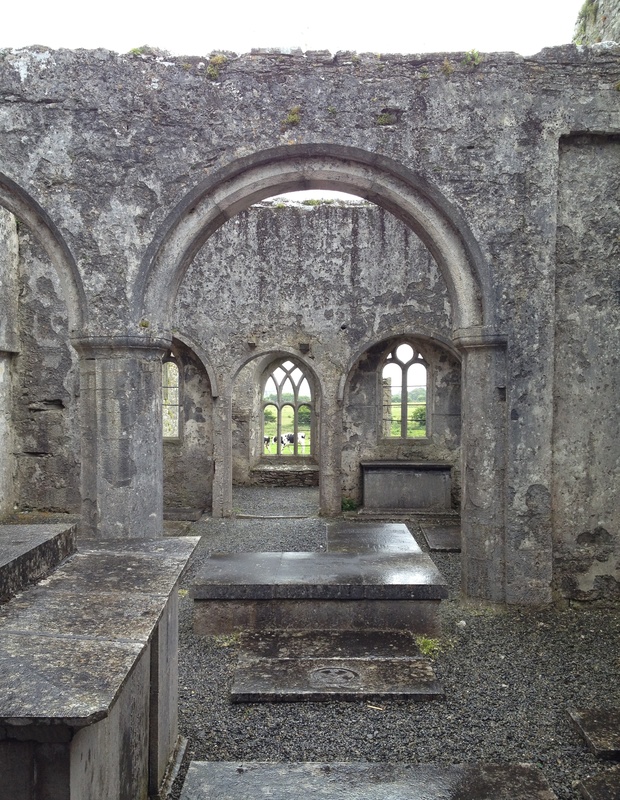 ‘The ruins of the Franciscan convent at Ross, near Headford, in the county Galway, are popularly styled the Abbey of Ross. In the early records this convent receives the name Ross-Errily or Ross-Traily, which is a corruption of the Irish name Ross-ne-threallagh. It was delightfully situated on the south bank of the Black river, in the parish of Kilursa; and its ruins still attest its former magnificence. The Four Masters and Luke Wadding register its foundation in the year 1351; and the latter adds that it was a most retired and lonely spot, surrounded on all sides with water, and approachable only by a narrow path which was formed of large blocks of stone. Before the close of the fifteenth century it attained special eminence among the many Franciscan institutions of the kingdom; and its property comprised the townlands of Ross, Cordara, and Ross-duff, amounting to about thirteen hundred statute acres. It was from the hallowed precincts of this monastery that a colony went forth to found the convent of Donegal, so famous in our annals. A provincial chapter of the Franciscan order had assembled in Ross-Errily to deliberate on matters of private interest, when Nuala O’Connor, daughter of O’Connor Faily, and wife of Hugh Roe O’Donnell, hereditary chieftain of Tirconnell, came, accompanied by a goodly array of gallow-glasses, to present an humble memorial. This petition of the Lady Nuala set forth the anxious desire of the faithful of Tirconnell to have amongst them some religious of the order of St. Francis to be their guides in their heavenward journey by precept and example. 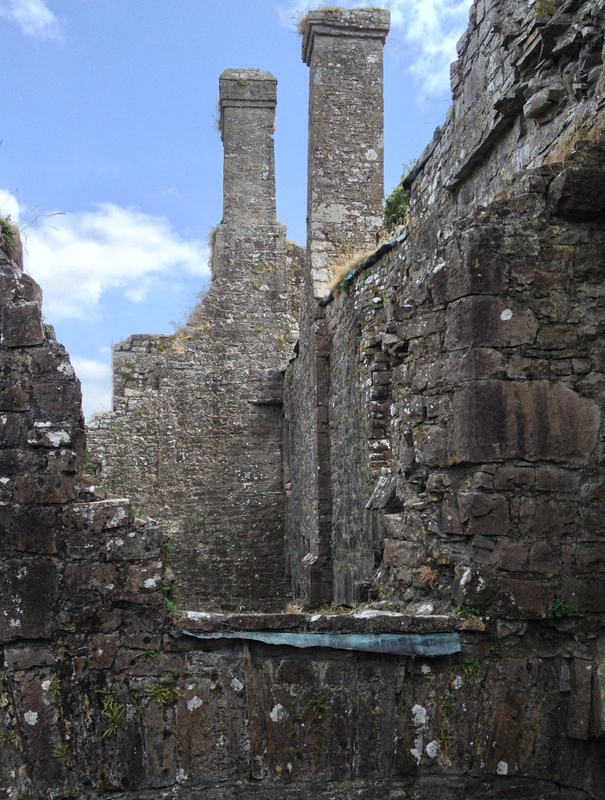 The favour was soon granted, and before the close of 1474 the foundations were laid of the far-famed monastery whose ruins are still met with at the head of the lovely bay of Donegal. 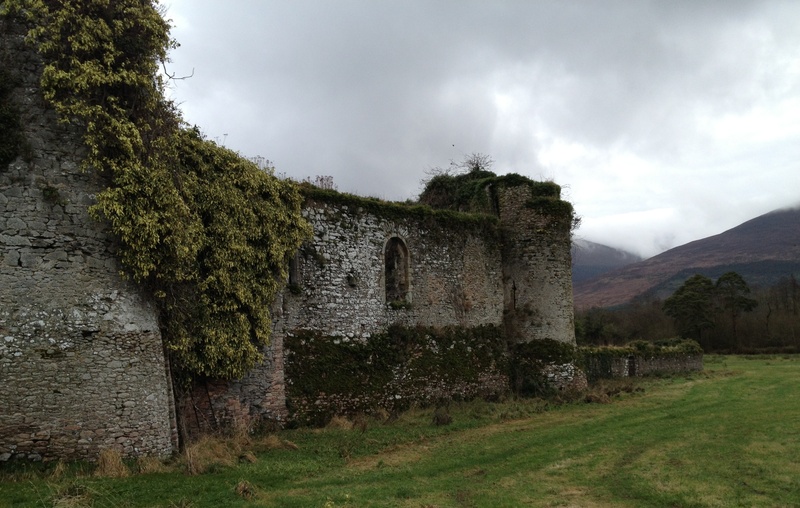 In 1538 the convent of Ross-Errily shared in the storm of persecution with which the reckless monarch Henry the Eighth assailed the church of our fathers. 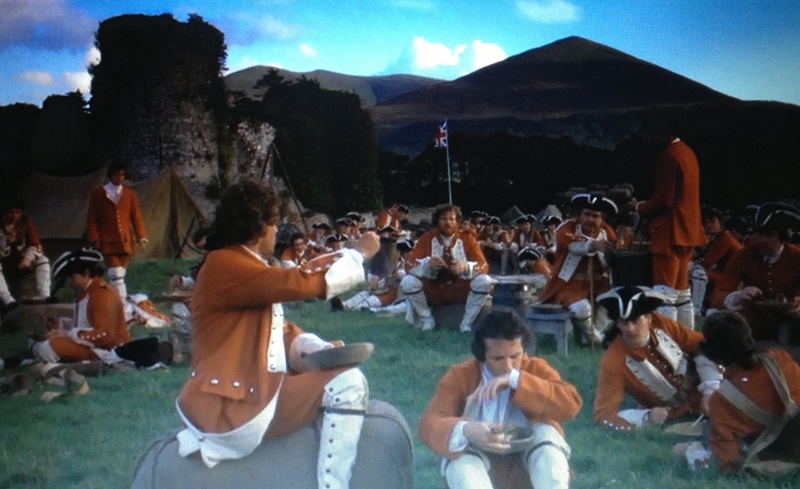 Indeed the Franciscans were in a special manner exposed to the rage of the English monarch. They had energetically opposed his wished-for divorce, and now they should pay the penalty of their zeal. Two hundred Franciscans were thrown into prison; thirty-two of them were bound with chains, and exposed to every insult; others were banished, and some, too, were put to death. From Lough Corrib: Its Shores and Islands by Sir William Wilde, 1867. 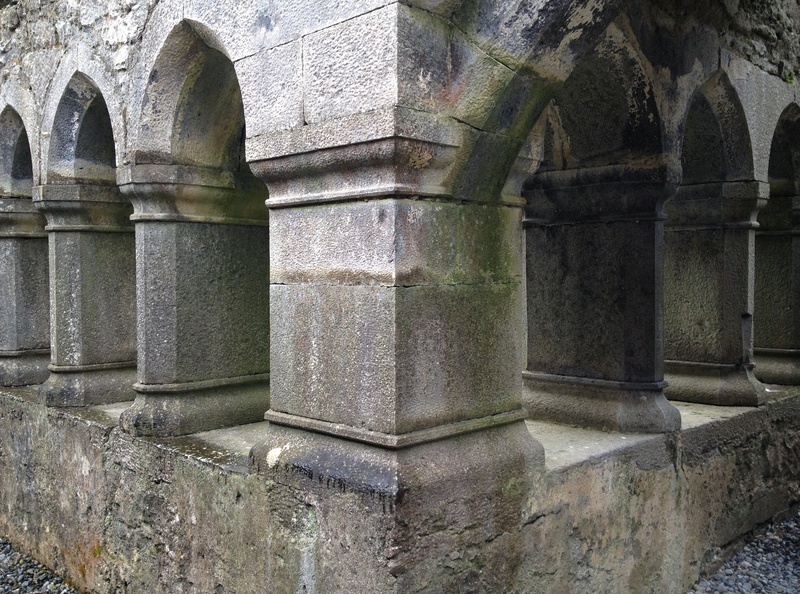 ‘Although there is nothing in the town [of Headford, County Galway] of interest, yet the tourist should by all means pay a visit to Ross Abbey, about 1½m. distant, one of the most extensive and beautiful buildings in Ireland, built at the close of the 15th cent. by Lord Granard for Observantine Franciscans and granted to the Earl of Clanrickarde at the suppression of religious houses. Including the religious and domestic buildings, it covers a very large space of ground on the banks of the Black river, and overlooking a considerable tract of bog. It is the cemetery of many good Connaught families and probably contains more grinning and ghastly skulls than any catacomb, some of the tracery of the windows being filled up with thigh-bones and heads – a not uncommon way of disposing of these emblems of mortality in Irish abbeys. From A Handbook for Travellers in Ireland, John Murray, 1866. ‘Besides the common quantity of these remains tossing all about, there was an immense heap lying outside the church, and as these bones seemed to have accumulated for ages, and as the place from the vicinity of the river was very damp, this immense “ossarium” if I may so name it, was covered with all sorts of verdure, mosses, lichens, sedums, saxifrages, and wild strawberries just showing their fruit between jaw-bones. It was curious to see skulls like wrens’ nests, and thigh bones as green as cabbage-stalks; the dry bones had, as it were, assumed a new mode of existence, and again served as the basis of a new life. It really was a scene on which a person might ponder and phrenologise; and I confess no collection of human bones I ever saw interested me more – no not even that far-famed congeries which at Cologne assumes to be the remains of St. Ursula’s eleven thousand virgins. The cloisters of Ross are quite perfect – as perfect as those of Muckruss or Quin; but they have not the picturesque accompaniment, like those at Killarney, of a magnificent yew-tree in the centre. The dormitories, the chapter-house, the cellars and kitchens, are all (as far as walls go) perfect. There the friars, living in a damp and low situation, had need of fires, and they took care to have them. I never saw such huge fire-places. The kitchen hearth would not disgrace the largest at Oxford or Cambridge. In one of the corners of a huge apartment, which seemed to be a scullery, there is a circular excavation, cased with cut stone, too large for a well, in all likelihood a place for holding live fish, which taken out of the adjoining river, no doubt were kept here for ready use. Altogether this abbey seems to have formed a little town in itself, having no entrance but the one, and its walls high and thick; it was a sort of stronghold and, no doubt, in the lawless times before the reformation, afforded an asylum for the weak and persecuted, as well as a sanctuary for the criminal. 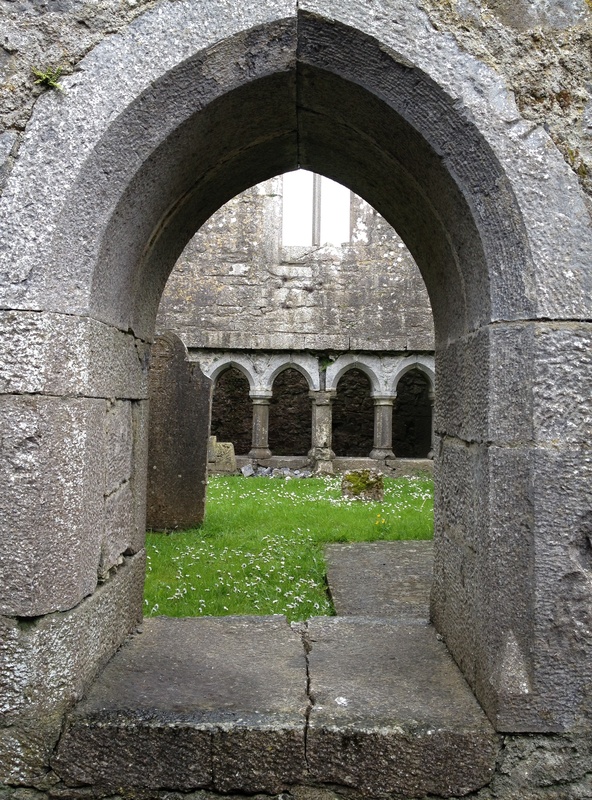 If any one wishes to see an Irish monastery in perfection, with all its “menage“, they will before passing on to Cong, and before visiting the western highlands of Ireland, take a view of Ross Reilly which was founded by Lord Granard in the fifteenth century, and was placed under the rule of the Franciscans. It, like many others, was repaired by the Roman Catholic clergy in 1604. From A Tour in Connaught, by the Rev. Caesar Otway, 1839. 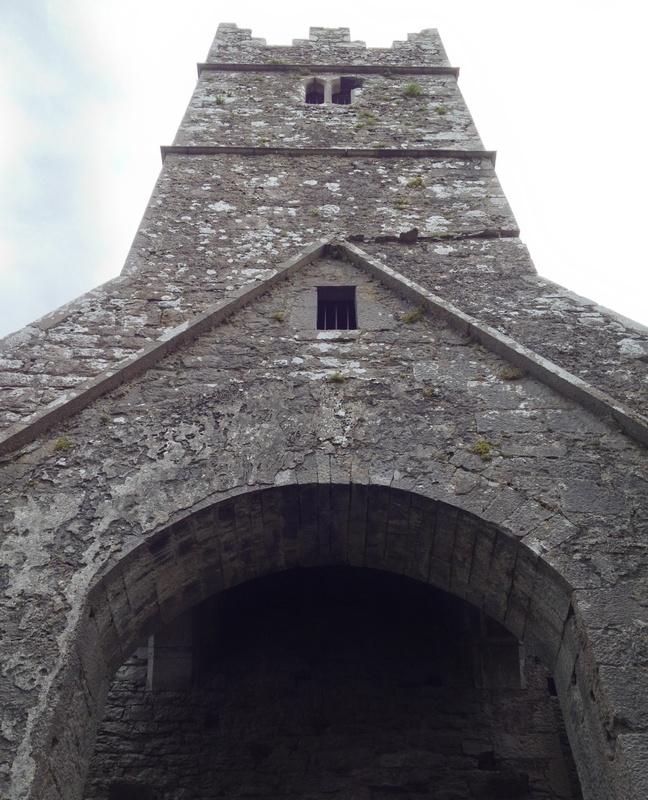 The 13th century church at Kilfane, County Kilkenny is now a fine ruin, notable for its adjacent castellated presbytery and also for being home to a stone effigy known as the Cantwell Fada. Carved from a single slab of limestone is a knight looking decidedly dapper in his suit of chain mail. One leg daintily crosses over the other not in demonstration of a mediaeval dance step but, it is believed, to indicate the knight’s participation in a crusade. 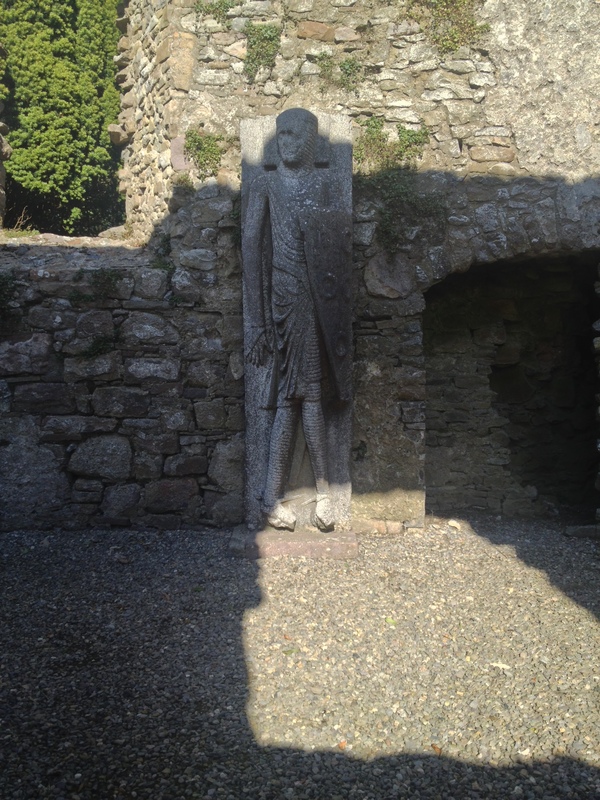 His large shield bears the arms of the Cantwell family and it is therefore presumed the figure commemorates Thomas de Cantwell who died in 1319 and whose family, of Norman origin, were once Lords of Kilfane. Most likely the carving was the lid of a sarcophagus since lost. Over two metres high, it is the tallest such effigy in Ireland or Britain. I shall be writing more about Kilfane and its picturesque Glen and Waterfall in a few weeks’ time. An elaborate late-Gothic window with double trefoil arch below a quatrefoil at the east end of the south aisle of St Mary’s, Gowran, County Kilkenny. The core of the present building dates from around 1275 when it was erected on the site of an earlier monastery. St Mary’s was a collegiate church, meaning it was placed under the care of a “college” of clerics who lived in a community without submitting to any specific monastic rule. Since the 19th century the chancel and central tower have served as the local Church of Ireland church while the main body has remained a picturesque ruin. The play of patterned sunlight seen here comes from the great west window at the nave end. In 1142 St Malachy of Armagh was responsible for founding Ireland’s first Cistercian monastery at Mellifont, County Louth. Five years later a small group of this house’s residents walked some 35 miles to establish a second monastery close to the banks of the Boyne river at Bective, County Meath. 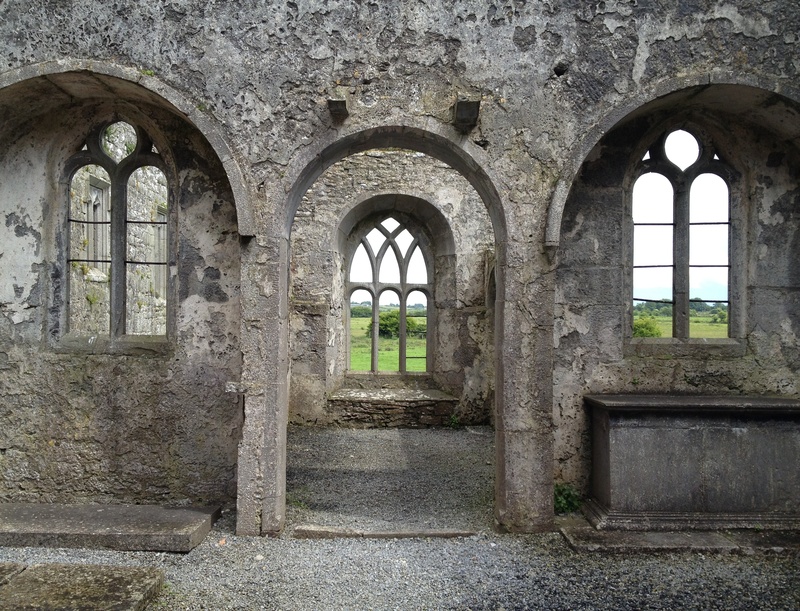 Built on land granted by Murchadh O’Melaghlin, King of Meath the new monastery was dedicated to the Virgin Mary and quickly grew into a thriving community. 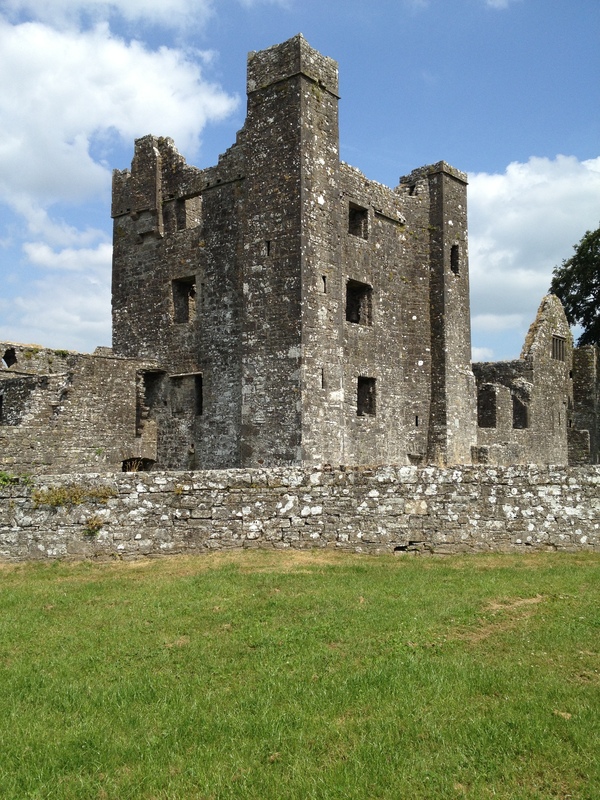 Half a century after its foundation, such was the importance of Bective Abbey that in 1196 the body of the Anglo-Norman Lord of Meath Hugh de Lacy was interred here; it was later moved to St Mary’s Abbey in Dublin. 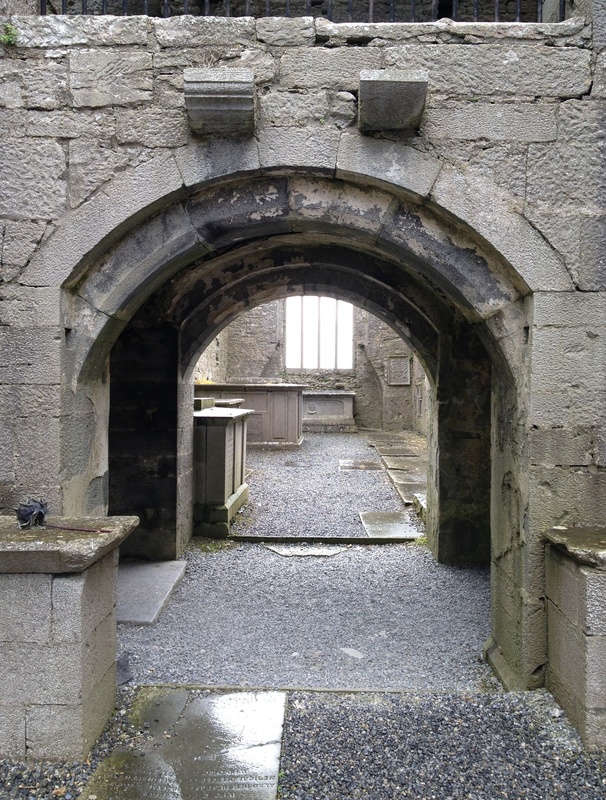 By the start of the following century Irish Cistercians would appear to have slipped into laxness; attempts by the church authorities to initiate a programme were rebuffed, not least by the Abbot of Bective who in 1217 participated in a ‘riot’ at Jerpoint Abbey, County Kilkenny and was further charged with imprisoning a man in a tree stump until he died. The Abbot was subsequently sent to Clairvaux in France for trial and prior of the Norman Abbey of Beaubec appointed to take responsibility for Bective. Nothing remains of the original monastic establishment at Bective; the earliest part of the present range of buildings dates from the 12th – 13th century buildings and include there remain the chapter house on the south-east side, a plain rectangular building with central column, also part of the west range and fragments of the aisled cruciform church. By the 15th century a serious decline in numbers had occurred and the premises were reduced in size. The church, for example, was substantially shortened and its south aisles demolished which in turn blocked off the adjoining arcades. 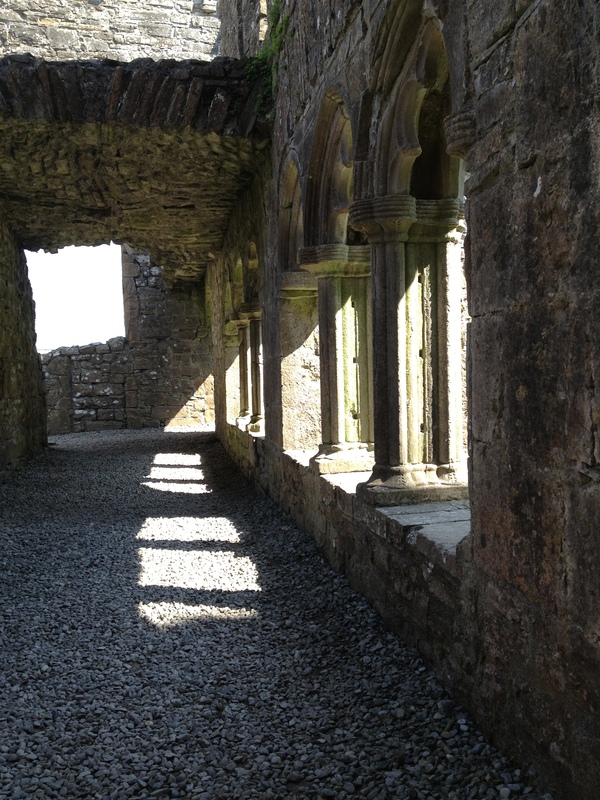 Massive fortified towers were erected on the church’s west façade and on the south-west corner of the monastery, giving Bective the appearance more of a castle than a religious establishment. 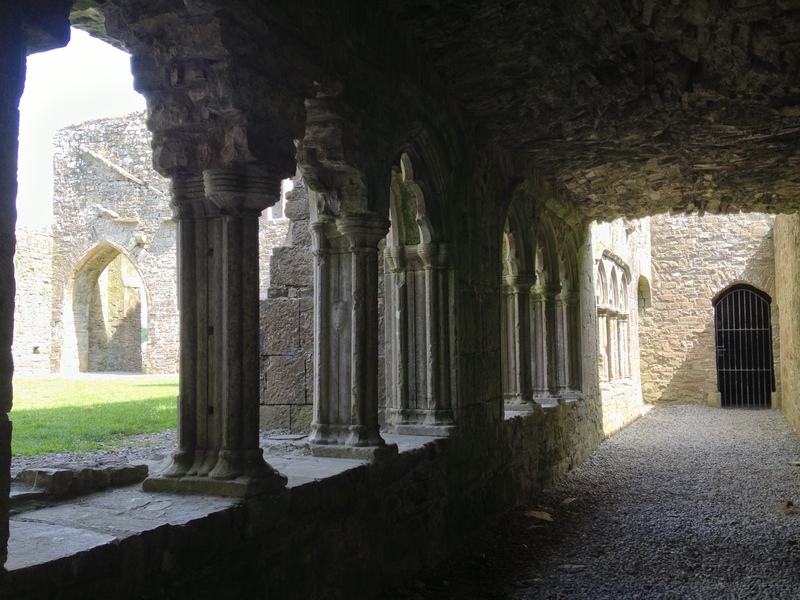 The most striking feature to the modern eye is the cloister that was built at this time, smaller than its predecessor (measuring no more than 33 feet square) and now the best-preserved Cistercian cloister in Ireland. The passages are set not beyond the walls but within them and are thus recessed, with each arcade composed of three miniature arches supported by double-column shafts. 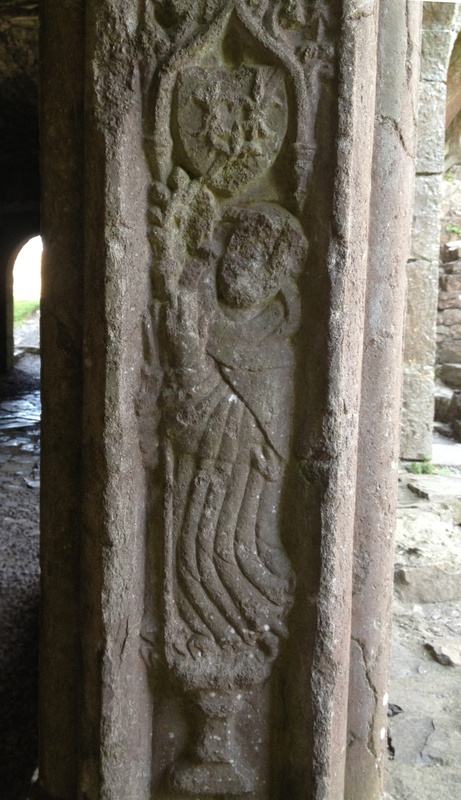 In one instance a panel between inner and outer shaft is decorated with the carved figure of an unidentified cleric set into an ogee-headed niche with his arms including three fleur-de-lys (see the top-most picture for a detail of this feature). 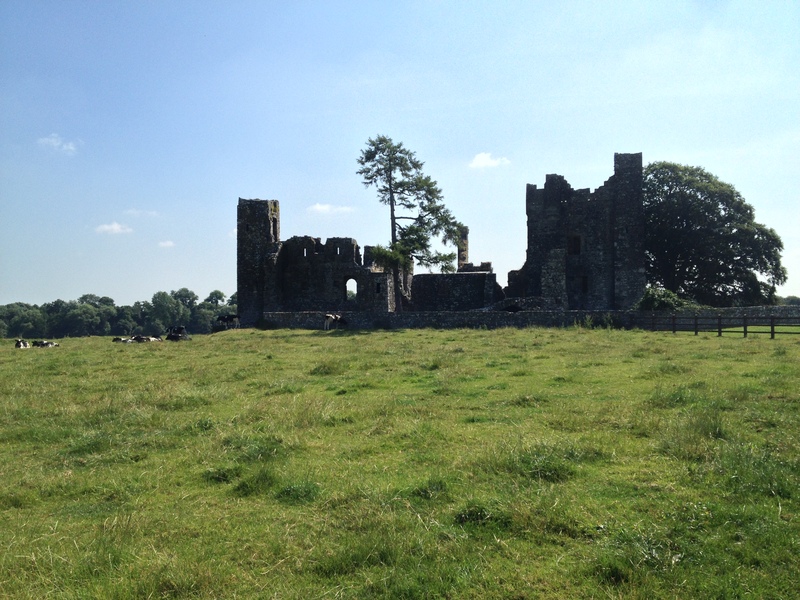 Despite having fewer occupants, Bective Abbey remained a considerable land owner; at the time of the dissolution of the monasteries in 1537, this establishment was recorded as possessing a total of 4,400 acres in Meath. And the land was of high quality, so there was no shortage of lay people eager to acquire it, beginning with the Staffordshire-born Thomas Agard who came to Ireland in the crown service and charged with the task of assessing the country’s mineral resources and the possibility of developing lead mines. 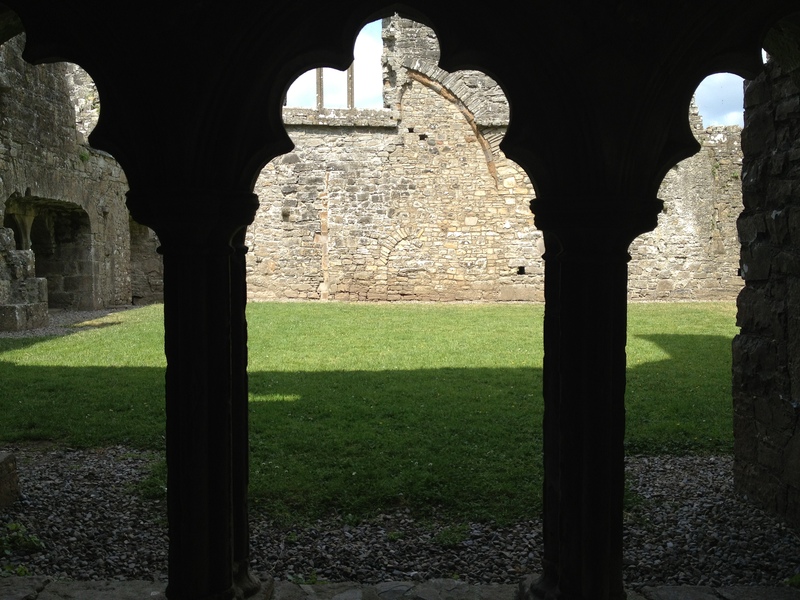 He began the process of converting the former monastery into a domestic residence, with the cloister transformed into an internal courtyard and the refectory turned into a Great Hall. Larger openings were inserted to create windows and tall chimneys rose above the roofline. After Agard’s death house and estate were briefly owned by Ireland’s Lord Chancellor John Allen before being bought in 1552 by Andrew Wyse, Vice-Treasurer of Ireland for £1,380 16s 7d. 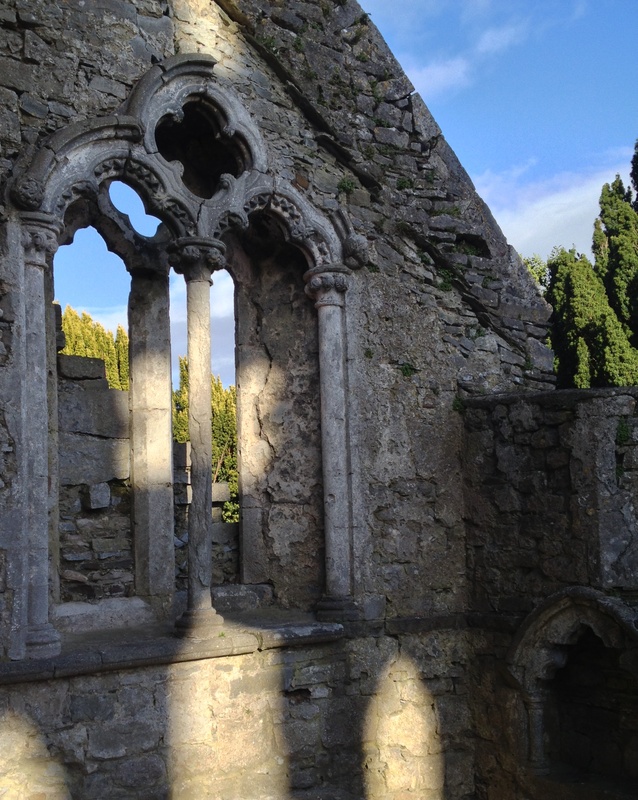 It passed through a couple of generations of his family but already by 1619 the abbey was described as being deserted. Twenty years later the property came into the possession of Sir Richard Bolton, like Agard originally from Staffordshire but by this date Lord Chancellor of Ireland. The estate remained in the possession of the Boltons for the next two centuries although they usually rented it out and by 1800 had built Bective House on the other side of the Boyne. In 1884 Bective was inherited by the Rev. George Martin, Rector of Agher, County Meath and ten years later he vested the abbey ruins to the Board of Public Works. It has remained in state ownership ever since but has recently been made more accessible than hitherto the case. 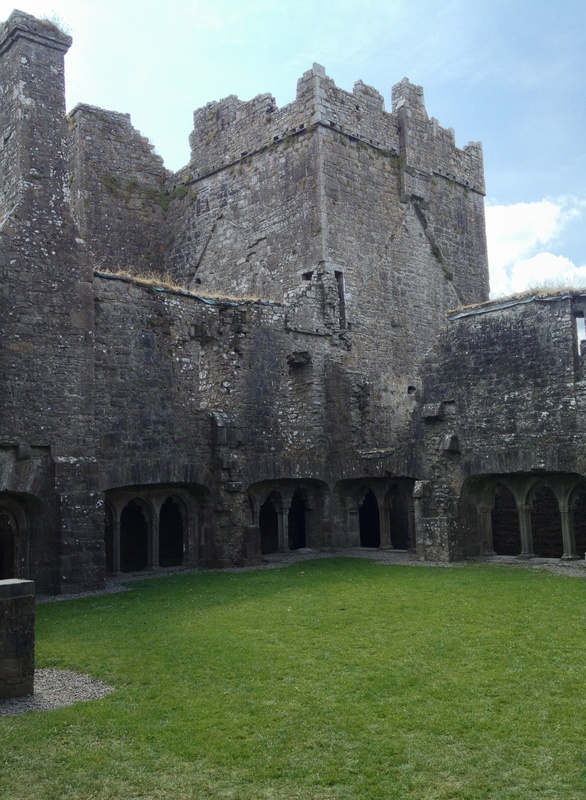 The surrounding flat land and its high towers make Bective Abbey easy to spot and since access to the site has recently been improved exploration of this wondrous relic of late-mediaeval/early modern Irish architecture is a delight. 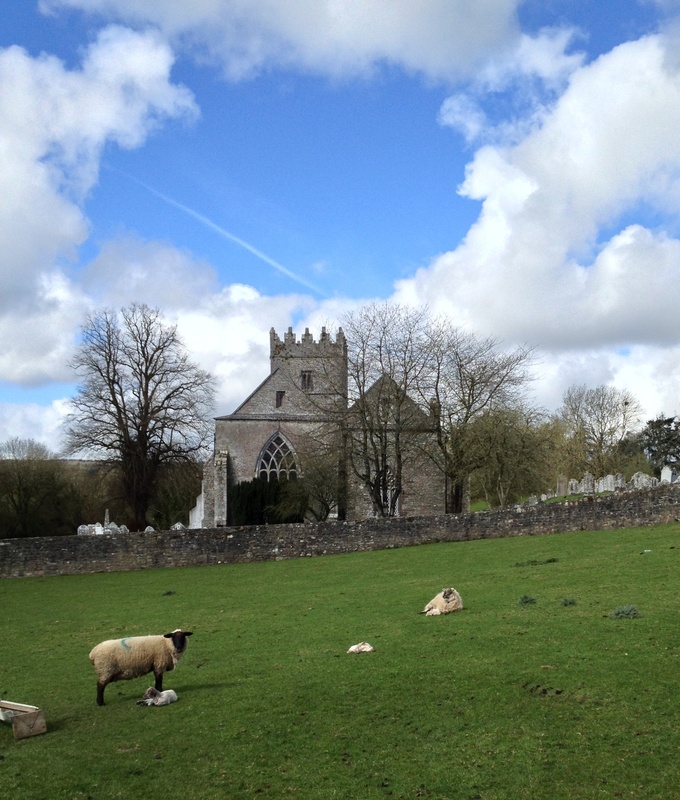 As is evidenced by these new-born lambs in a field beside the Cathedral of St Laserian in Old Leighlin, County Carlow. The building occupies the site of a monastery founded here by St Gobban in the early 7th century and takes its name from one of the first abbots, Saint Molaise of Leighlin whose feast day fell last week. 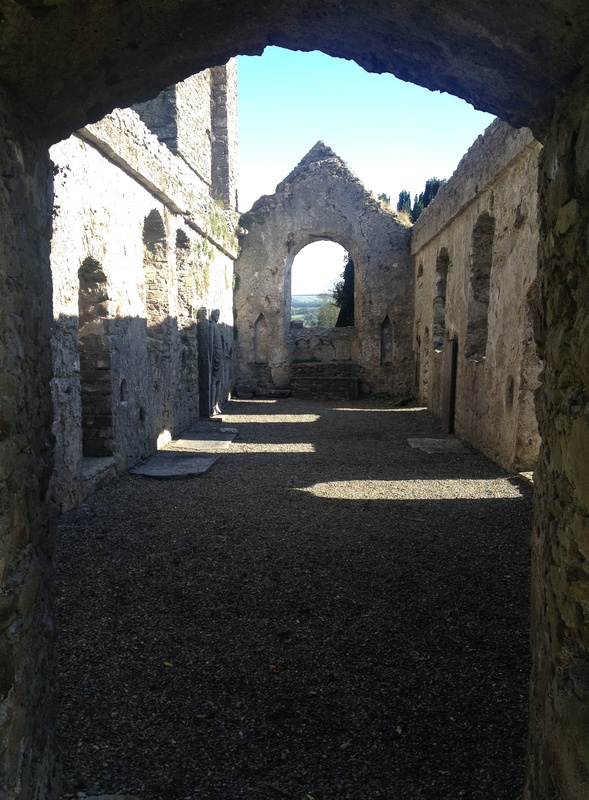 The core of the present cathedral was begun by Donatus, Bishop of Leighlin around 1152-1181 and completed by the end of the 13th century but there have been various changes made since. Today St Laserian’s is one of the country’s smallest cathedrals. About a mile north-east of Navan, County Meath lie the remains of the once-important monastic settlement of Donaghmore. A witness to Christmas for more than 1,500 years, it was supposedly founded by St Patrick; he later passed on responsibility for the site to his disciple St Cassanus. All that remains of the monastery is this round tower, believed to date from the 12th century. Next to it are the ruins of a former parish church probably early 16th century, with a double bell cote on the west gable.